XPlanereviews - Version 1.1 - "highly, highly recommended"
- Avitab support is integrated now. - The FMS now also parses Custom Scenery/Global Airports/Earth Nav data/earth_nav.dat to get the best ILS placement. - When using the fire extingushing bottles, the DISCH light now comes up at the right time. - Fixed an issue with import of altitude and speed constraints in newer CFIP files. - When Pulling the SPD knob, the speed target synchronizes to the current speed. - Fixed behaviour of the ECAM ALL button for repetitive pushes. - Fixed EIS switching behaviour when all screens are available. - Fixed a bug that could lead to loss of correct ILS data on approach, if the flight plan asks for tuning an ILS DME in VOR1. - Panning with right mouse click is now possible again. - Support for 8.33kHz frequency spacing for VHF1 and VHF2. 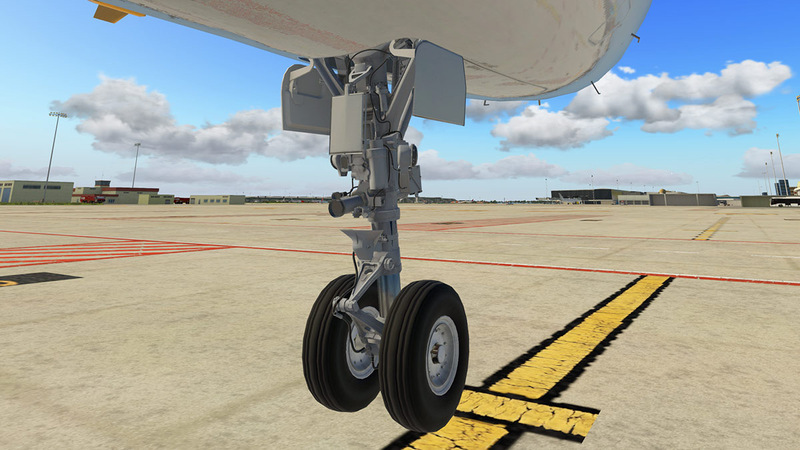 - SatCom can now be toggled via ISCS and also be driven by the livery string, add the character T in the engine string. E.g. [CFMT] for CFM engines with Satcom, or [IAE2ST] for IAE engines, 2 overwing exits, sharklets and Satcom. - Added the ENG x START FAULT caution message for start attempts without bleed air. - When CFM engine is selected, the N1 mode switches disappears in the OHP. - Improved representation of Terrain on ND for the popup windows. 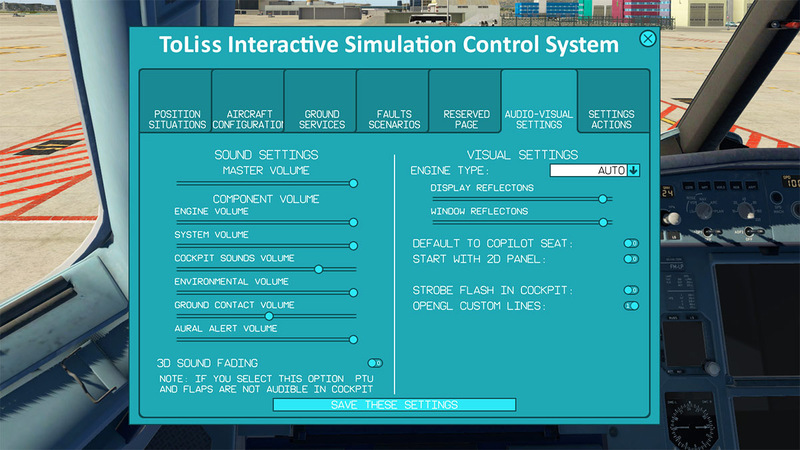 - XP11 style windows for the popup displays - you can move your MCDU or your popup to another screen now. - ECAM rework: Automatic call of system and status pages, and EWD overflow logic. - Implementation of the majority of ECAM status messages. - Warnings for DOORS open is triggered now if you forget to close them before takeoff. - New battery model allowing proper charge/discharge procedure and allowing APU start in air off batteries. - Addition of non-linear stick-to-command mapping for the FBW control laws to approach the reallife implementation even closer. - Ice detection system to warn you of the impeding performance degradation if you don't switch on Anti Ice. - Fixed the spurious MCDU resets during power transients. - Fixed issue that rotating the BARO knob in mode STD had an effect on altimeter. - Fixed possibility to start APU of batteries when in mid-air. - Fixed saving of the XPDR compatibility preference setting. - CVR ground control switches off now, when starting the engines or being off ground. - PACK 1(2) OFF ECAM messages now have a 60 second delay to allow the pilot to switch them off after thrust reduction. - Retuning of the volume levels between TRU and air conditioning in the cockpit. - Fixed the bug that SIDs are not available if the runway designator in the apt.dat file and the procedure file are off by 1. - Fixed the import of altitude constraints that are stored in the CIFP file in the format FLxxx instead of altitude in feet. - Improved pitch trim wheel mapping between animation and actual stab position. ESC key can now be used to close the ISCS. Implemented an external volume slide to adjust external vs internal volumes to users preferences. Lots of other new stuff and bug fixes, check https://forums.x-plane.org/index.php?/forums/topic/143538-toliss-319-official-announcement-thread/&do=findComment&comment=1440388 for details. No need to re-download: Simply use the x-updater located inside the aircraft folder. Enter your email address and your serial number, the updater will do the rest! - Popups can now be scaled to sizes greater than 500x500 pixels, if the horizontal screen resolution is > 1920px. - Wrongly displayed speed trend on scaled popup PFD fixed. - Fixed the "missing SID transitions" bug. Issue occurred whenever there were more TRANS than SIDs. - Sound volumes reset properly when changing airplanes or quitting xplane. - Some FMGS bug fixes, e.g. lack of procedures after flight plan load.